"Desiree"--(1954)--Mostly from Jean Simmons" point of view--Marlon Brando does co-star--are some battle scenes, but aren't Total subject of film. "John Paul Jones" (1959)--mostly naval strategy--some battle scenes--Bette Davis has a cameo in this. "The Buccaneer" (1958)--mostly at sea--Warning--is maybe 2 &1/2 stars--script is muddled. Re H.H.--I guess you Did have high hopes for the film--you sounded definitely unhappy. 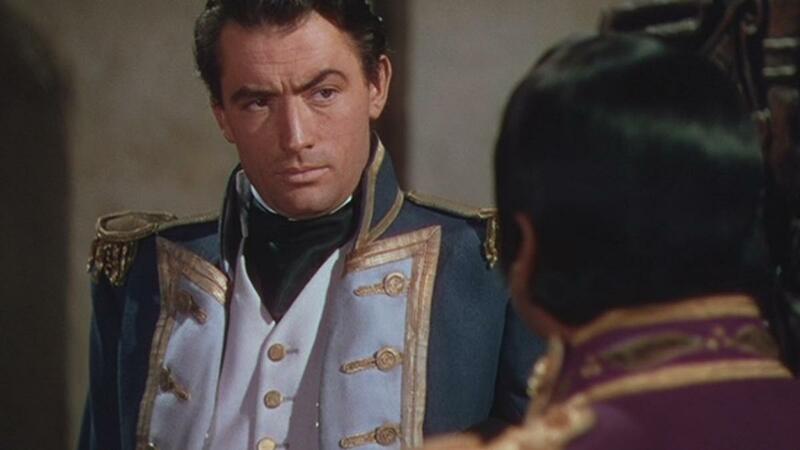 But I agree with you about Virginia Mayo & Gregory Peck being underwhelming in their parts--Peck had had a string of box-office hits, & Mayo was under contract (therefore cheap), pretty, thus a perfect fit for the part. I saw the film in my teens--back then, it seemed a perfectly good actioner, LOL. This was based upon a series of books of a fictional Captain. As such, it was not going to be realistic regarding Bonaparte. It was going to be a romantic triangle and focusing upon fun seafaring. Gregory Peck makes the best war movies, in my opinion. There's just something about him; his stature; the crisp delivery of his lines; his pauses between replies; his squinty eyes; the set of his jaw. He's particularly facile in WWII flicks but he's likeable enough in this one, too. The source material gave producers every right to assume the flick would be a big hit; the book series was renowned in Great Britain at the time. Oh well. Who knows exactly why it missed the mark? I sure don't. I haven't got an opinion on it either. I will mention though, that the novels have recently been revived into a fresh BBC production, isn't that right? The sequence I enjoy most (in the classic version) is where Peck meets Mayo for the first time and he gets flustered. I'll watch the film up to that point and then turn aside. It is hilarious!